Excell is all about 2’s for Valentines Day. You get 2 of everything for an amazing price. 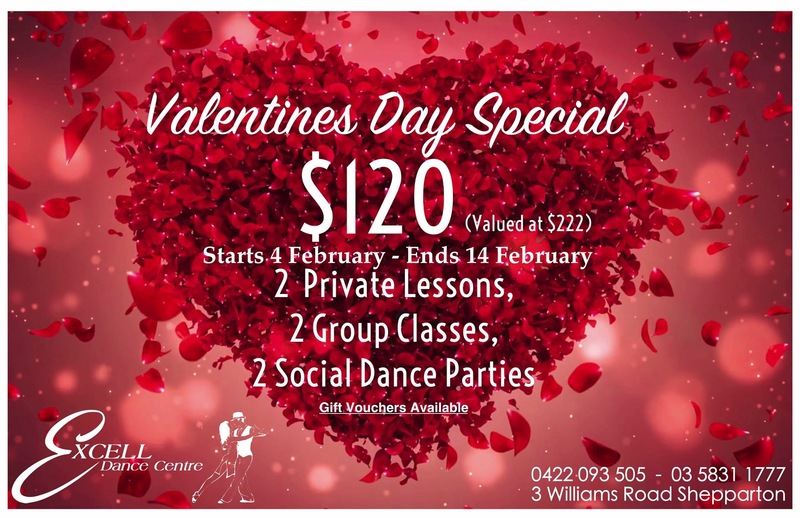 Give the special person in your life the gift of dance with our Valentines Day Gift Certificate.